A team of scientists had to abandon an expedition from Quebec City to Churchill, Man., on Sunday because of hazardous ice conditions caused by climate change. A team of scientists says it had to abandon an expedition through Hudson Bay because of hazardous ice conditions off the coast of Newfoundland caused by climate change. 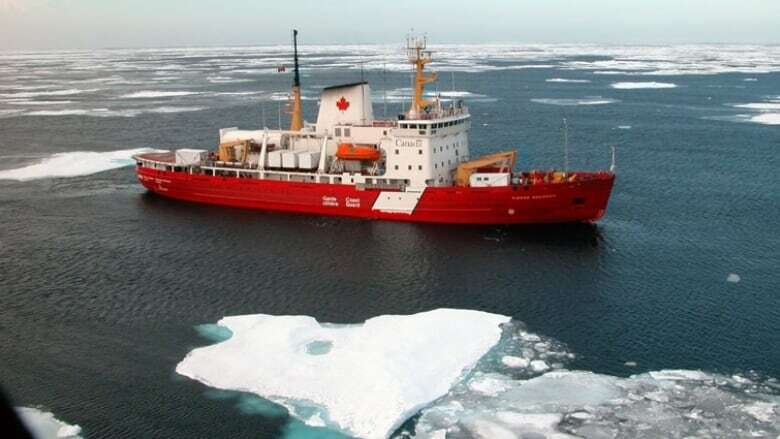 About 40 scientists from five Canadian universities were scheduled to use the icebreaker CCGS Amundsen for the first leg of a 133-day expedition across the Arctic. It's part of a $17-million, four-year project led by the University of Manitoba that looks at both the effects of climate change as well as public health in remote communities. Their trip began May 25 in Quebec City, but due to bad ice conditions off the coast of Newfoundland, the icebreaker was diverted from its course to help ferries and fishing boats navigate the Strait of Belle Isle, said David Barber, a climate change scientist at the University of Manitoba and leader of the Hudson Bay expedition called BaySys. Thick, dense ice had travelled to the area down from the High Arctic, said Barber, which caused unsuspecting boats to become stuck and even take on water. "The requirements for search and rescue trumped the requirements for science," said Barber. "The search and rescue calls were coming in quite fast and furious." According to the Canadian Coast Guard, the conditions were unlike anything ever seen before in the area. "It was just extreme ice conditions that required everything that we've got in order to make sure we were able to provide the services," said Julie Gascon, the coast guard's assistant commissioner for the central and Arctic region. Eventually Barber decided leaving the area for Churchill would put lives in danger so he called off the first leg of the expedition. "It was an extremely difficult decision to make but I believe it was the right one to make," he said. While assisting the Canadian Coast Guard with search and rescue, the scientists took advantage of their diversion to the Strait of Belle Isle, a waterway between Labrador and Newfoundland. Barber and his team began using their equipment on board the icebreaker to take samples and analyze the ice. They determined it was multi-year ice, not typical of the northeast coast of North America and most likely from the High Arctic. Chunks measured between five and eight metres thick. "This is the first time we've actually seen ice from the High Arctic," said Barber, who has studied the impacts of climate change on sea ice for decades. Typically when people think about climate change they think about thinning ice, but Barber points out the warming action also loosens ice and broken icebergs can travel long distances on ocean currents. "It's very much a climate-change driven phenomenon," said Barber. "When you reduce the extent of the ice and reduce the thickness of it, it becomes more mobile." Environment and Climate Change Canada said ice conditions improved slightly on Monday in the Strait of Belle Isle but continue to be troubling off the northeast coast of Newfoundland, which is seeing a higher than normal concentration of ice. 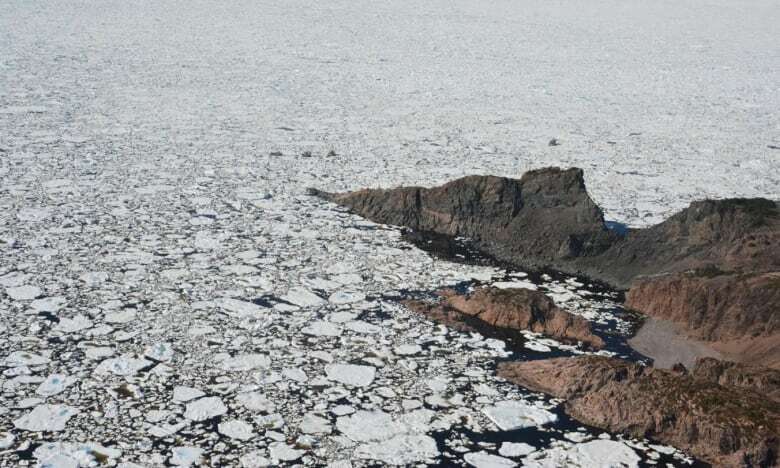 "Typically there would be very little or no ice left in either of these areas at this time of year, let alone the thick ice pack we are currently seeing off the northeast coast of Newfoundland," a spokesperson for the federal department said in an email. Barber said the experience off Newfoundland's coast provides a valuable lesson about climate change to the Canadian government. "What happens in the Arctic doesn't stay there. It comes south," he said. "We're simply ill-prepared." Barber hopes to resume the Quebec City to Churchill journey next year, while other scientists still plan on boarding the Amundsen for the second leg of the expedition, Churchill to Iqaluit, July 6.